This class is open to anyone with an embroidery machine! We will be making 2 really cute projects from Kimberbell! 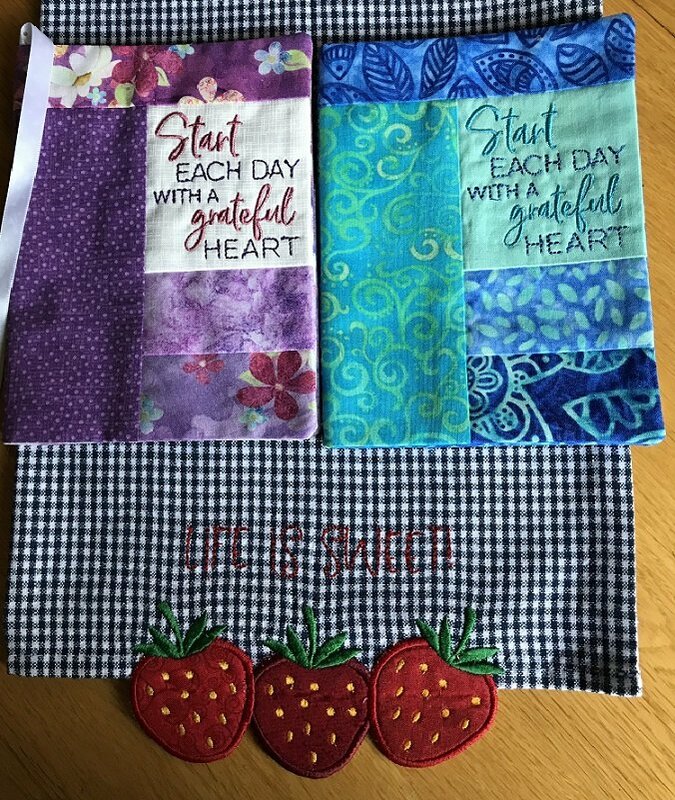 One is a "Life is Sweet" kitchen towel with appliqued strawberries that hang over the edge. The second item is a journal cover that says: "Start each Day with a Grateful Heart". The cover fits a 5" x 7" journal. Fee for the day is $25.00, which includes the designs, and PDF files with complete instructions, towel, journal, foam and instruction.